High-end mobile apps have created a revolution in the world with its splendid features and functionality. From a toddler to a popular tycoon, apps have miracle to spread its magic on everyone and the proof is millions of apps available in the app store and a number of new apps added day-by-day. Comprehending expectations of users in utilizing innovative apps have inspired app developers to explore their creativity level in new horizons, amazingly. In order to get good position in the app store, it become essential for developers to create an app that becomes competitive to stand up top in the iTunes search results. Gaining higher app download ratio and star rating, iOS app development company need to work efficiently by comprehending guidelines essential to make the app development process successful. In this blog, we have conversed about some important guideline that will help you in iOS app development process. Before we start discussion, we would like to guide you that developer should check Apple’s App Store Review Guidelines that gives useful information related to topics such as safety, design, business, legal and performance which will guide you to make seamless app by following app store rules and regulations. An app programming guide for iOS also helps developers to keep in mind important factors need to consider while developing an app such as App Architecture, Performance Tips, app life cycle, app power consumption and many m ore important aspects. From finding a million dollar app idea to turning it into a popular app becomes a key task for the company undertaking the app development project. Smart research and analysis that highlights all aspects makes easier to find pros and cons of the app development process. Thus, it helps focusing more on the complicated issues and finding an agile method enables app to appear in the “Showcase” section of iTunes. This section gives priorities to all successful apps comprising innovative ideas. Consequently, iOS app developer needs out-of-the-box thinking to deliver rich and quality features and functionalities to attract more users and enhance app download ratio by positioning their app in “Showcase” section. Getting approval of app becomes not a difficult task, if you comprehend all the rules and regulations and app review guidelines of iOS, before commencement of your app. Once you complete your app development process, make through testing by comprehending the app store guidelines, before you send your app for approval. Your app will be tested by the app store and get approval if they find your app perfect. In case of any bug, they will send you back with reason for not approving. You can resend your app after solving the bug to get the approval. You should also have knowledge about actions to take when your app gets rejected. An app development process comprises several stages such as research & analysis, conceptualization, wireframe, design & architecture, software architecture planning, integration of front-end and back-end coding, testing, and launching. But, your work is still not completed yet, you are one step behind. The key task in the app development process is successful promotion of your mobile app to enhance the visibility of your app in the app store. Promoting your app using targeted keywords as well as using search engine optimization helps you to get top ranking in listing of iTunes search results. In fact, deciding the time limit for app development process indeed a difficult task for developing higher level iOS app. It requires finding expert resources including iOS development company or iOS app developers, discuss with them in details about the app concept and project goals as well as the time limit, launching period, promotion activities and more. Furthermore, it has become understood that publishing and promoting an app is not the last phase of your app development process. Actually, the process never ends, you need its maintenance, fixing bugs, adding new features, make implementation and provide new updates in order to build long lasting relationships between your app and its users. Getting a response/feedback/reviews of your users about your app and incorporate their demands in your next versions also becomes an important part of the app development process need to consider before its commencement. Deciding an app to become a free or a paid is always a difficult issue for the app owner. This is because gaining a profitable outcome depends on several factors, including its successful promotion. Normally, the tendency of people is to choose the free app first, if they find their desirable features in it. Hence, make people habituated from your app and then offer advanced features with paid version that let them oblige to buy with small amount. It penetrates to attract more users compared to paid app. 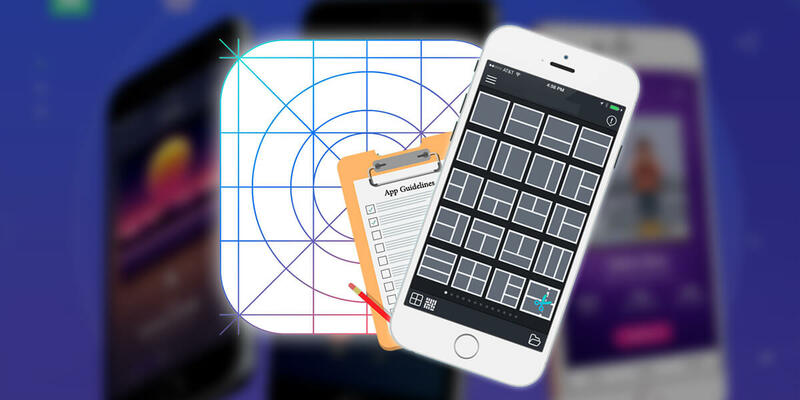 Creating app icon designs to screen designs and seamless coding, each stage is equally important when it comes to think about a successful iOS app development process. Each stage has its own significance and need perfection to make an app attractive, appealing, engaging, and user-friendly as well as successful. An expert iOS app development company can efficiently guide you in making your iOS app development process agile and efficient that results in a popular iOS app that delivers profitable outcomes. With efficient guidelines of an app development process, iOS app developers can efficiently build a successful app. From understanding the app concept, designing & coding integration, app store approval process, app testing, app promotion activities, as well as finding an expert app development company, an app development process needs efficient guidelines to turn your unique idea into a successful and profitable app. A professional iOS app development company can build an innovative app using an agile mobile app development process by comprehending all significant aspects of the app development process.